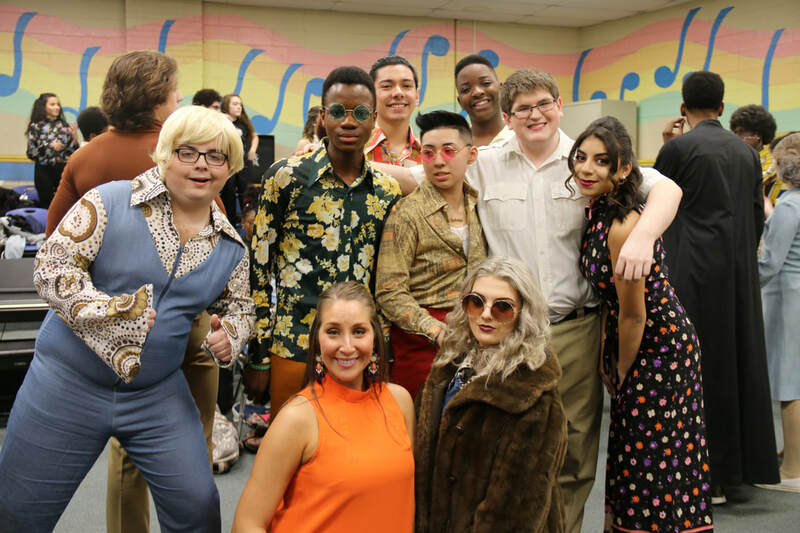 On March 1st, 2nd, and 3rd, Nottingham students put on their "boogie shoes" to perform iconic 70’s hits in Saturday Night Fever. 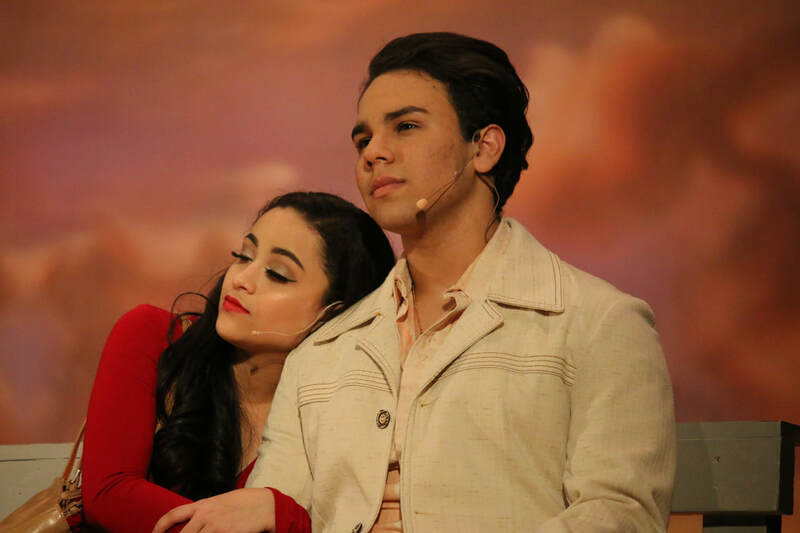 The play follows Tony Manero (played by George Hreiz) who enters a dance competition with a girl who he ends up falling in love with, Stephanie Mangano (Junelly Lozada.) 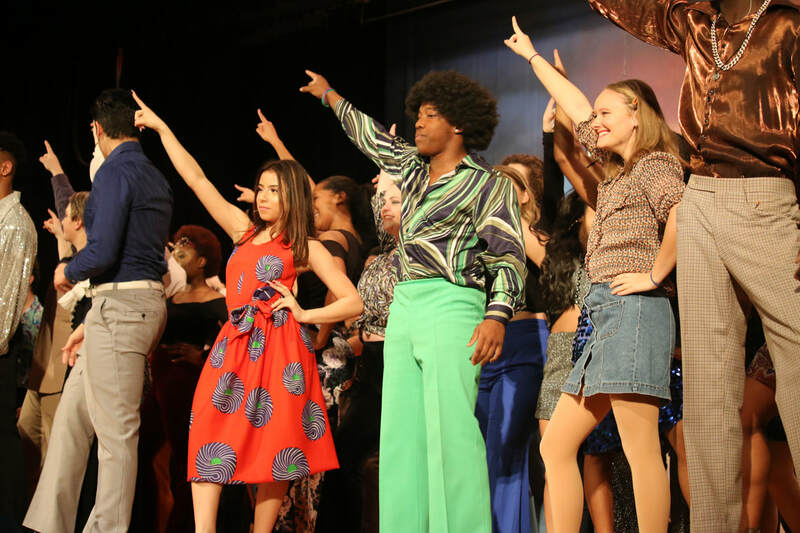 The turnout for all three nights of the show was amazing, and the crowd loved hearing songs like "Staying Alive," "Disco Inferno," and "You Should Be Dancing." Congratulations to all of the students (cast, crew, pit) and teachers, especially Ms. Lauren Flaherty and Ms. Kelly Hall for putting together an incredible show! Pictured: Junelly Lozada and George Hreiz. Pictured left to right: Karicia Perea, Jermar Best. Breann Worob. 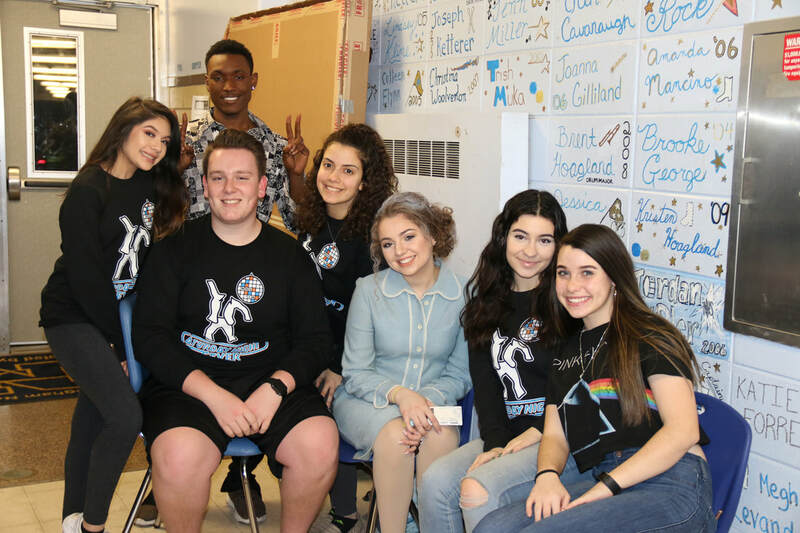 Pictured from left to right: Emily Santizo, Gabe Samolchuk, Maurice Simmons, Meraya Sirimis, Kadie Casalino, Hannah Weitz, and Maddy Lippincott. Pictured from left to right: Kyle Tandy, Emmanuel Magbene, Vicky Gramajo, Ms. Flaherty, Clara Ruggieri, Gustavo Arce, Nasir Jackson, Chris King, and Adri Sferra.